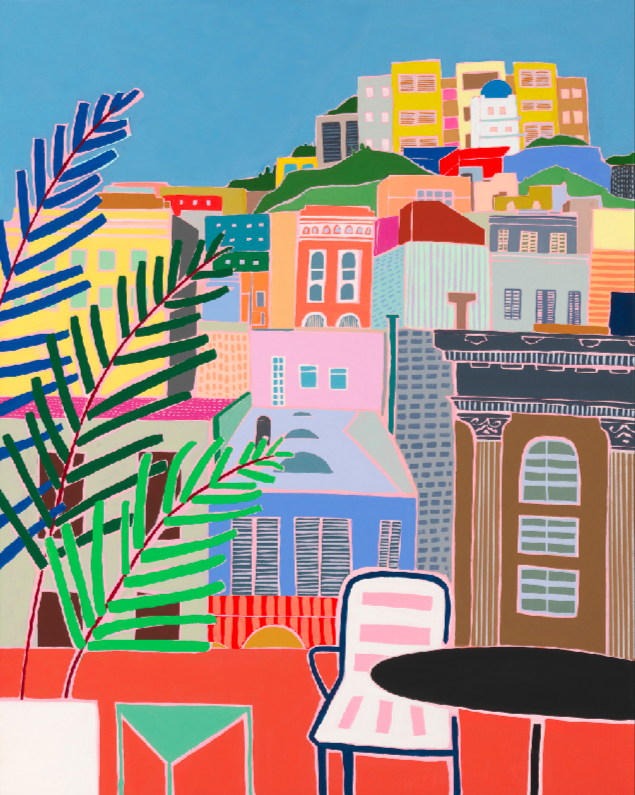 Our CANOPY artist in resident, Mary Finlayson, created this painting of the view from our terrace. She is based in San Francisco and originally from Vancouver, B.C. Her background as an artist is in both painting and printmaking. She has Bachelor of Fine Arts from Queen's University, a Graduate Degree in Art Therapy from the Vancouver Art Therapy Institute as well an Arts Education Degree from the University of British Columbia. A limited quantity of 19"x25" framed prints are available for $250. Please email [email protected] for more information.